We provide phone numbers for 50 countries worldwide. You only need a web browser to manage routing of your World Numbers. 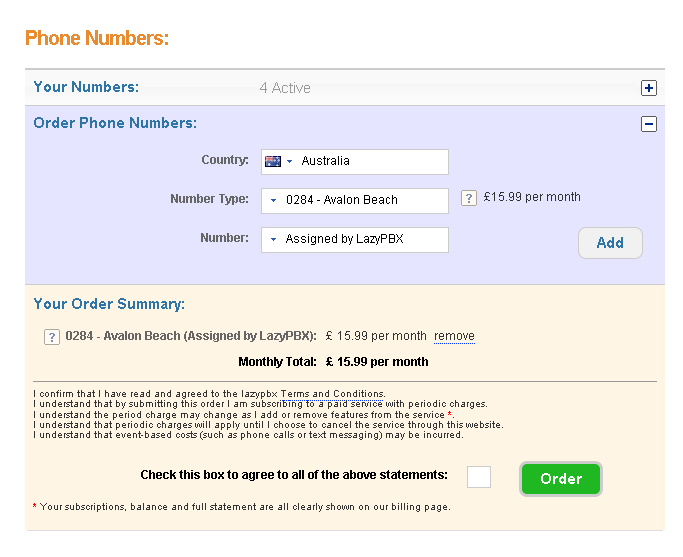 LazyPBX uses the most advanced and user friendly control panel of any online phone number management tool. Just drag the number to the workspace and connect it to desired feature blocks. Add more numbers if you want them. You will receive notification once the number is active, activation normally takes up to 48 hours. 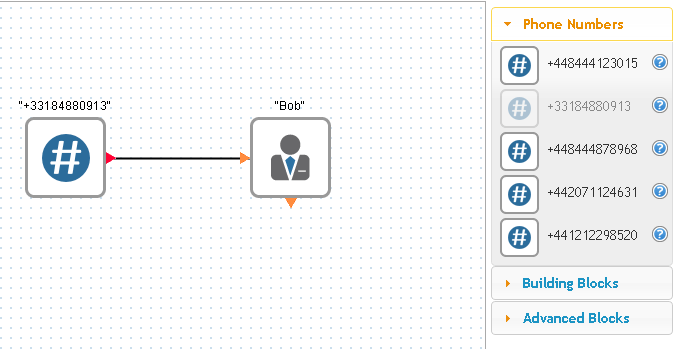 Once your phone numbers are active they will be ready for use on your PBX editor.